With a few hours to go before the PlayStation Meeting, a producer on Mass Effect: Andromeda hinted at a potential reveal at Sony’s event which should also see the PS4 Neo and PS4 Slim unveiled. “Oh, God. Tomorrow is 7th, isn’t it?” tweeted Michael Gamble, Producer on Mass Effect: Andromeda and the Mass Effect Trilogy. This could mean we’re going to see some new Mass Effect news or a presence of the game at the PlayStation Meeting. Considering that Sony has a marketing deal for Call of Duty, a game Microsoft aggressively marketed during the Xbox 360 era, a potential marketing deal for Mass Effect would make sense. It’s a franchise that got its start on the Xbox 360, later making it to the PC and PS3. 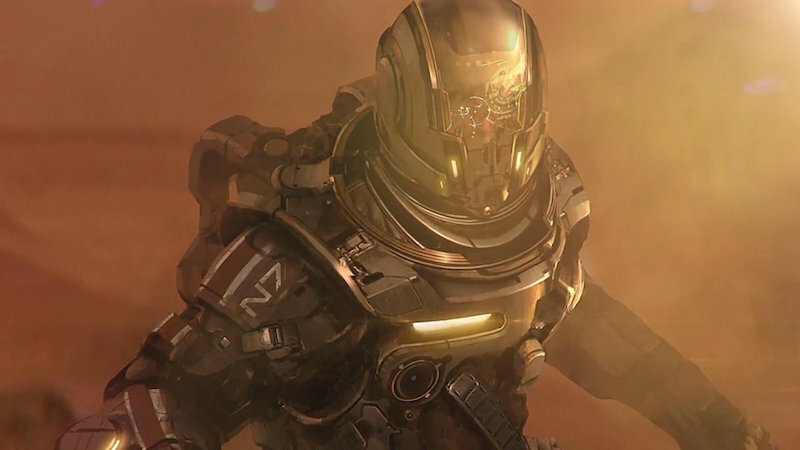 A Mass Effect reveal would bode well considering that EA’s E3 2016 press conference was extremely lacklustre in this respect. The latest entry in EA’s storied sci-fi role-playing game franchise seems ambitious. “This is a galaxy where you are the alien,” claimed producer Aaryn Flynn at the time. The overarching plot has players travelling the universe in search of a new home. Details are scarce and with a slew of crucial staffers leaving the project earlier this year, the CG-fuelled trailer gave us little confidence. There will be a new ship that’s rumoured to be named as Tempest (compared to Normandy from the original trilogy), and a new online mode as well. Flynn said we’ll see more in months to come. Hopefully this would be at the PlayStation Meeting.